So it was an unexpected, but very pleasant surprise that my first weekend was warm and sunny, even breaking records! With my brother Ruud I visited the Spaardammerbuurt, famous for its Amsterdamse School architecture. 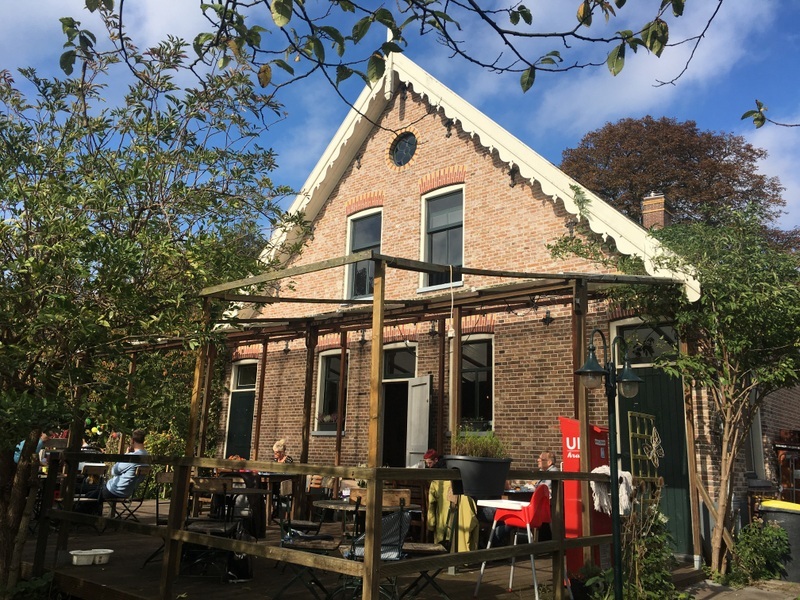 First we had coffee and cake in the Buurtboerderij Ons Genoegen. This “farm within the city” dates back to 1880, was almost demolished around 2001, but just in time saved by a group of concerned citizens. More about this interesting story can be read here (in Dutch). It is amazing that such a rural enclave exists, sandwiched between two railway lines. During my last visit the Schip museum was closed, fortunately it was was open now. It is housed in a former school building and worth visiting. 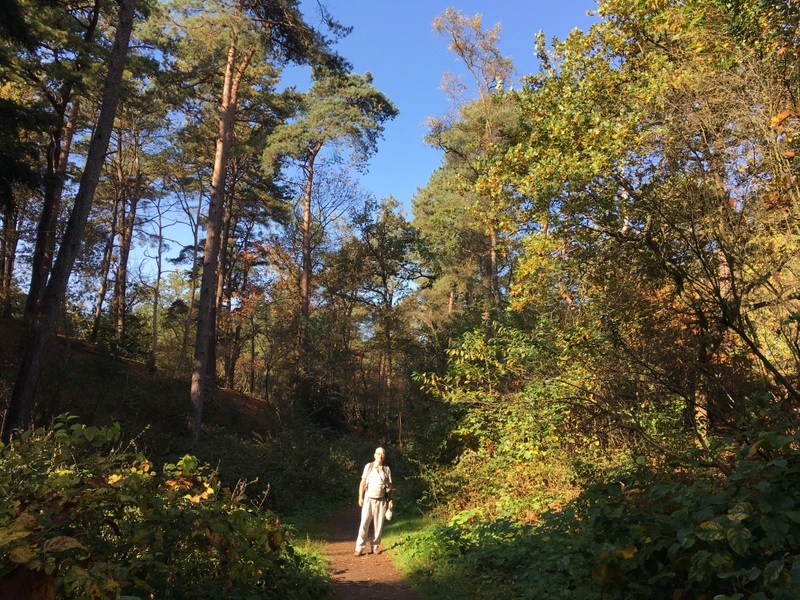 The second day I went with my friend Yolanda to the Utrecht Hill Ridge, a forested ridge of low sandhills, created 150.000 years ago as a moraine during one of the glacial periods. 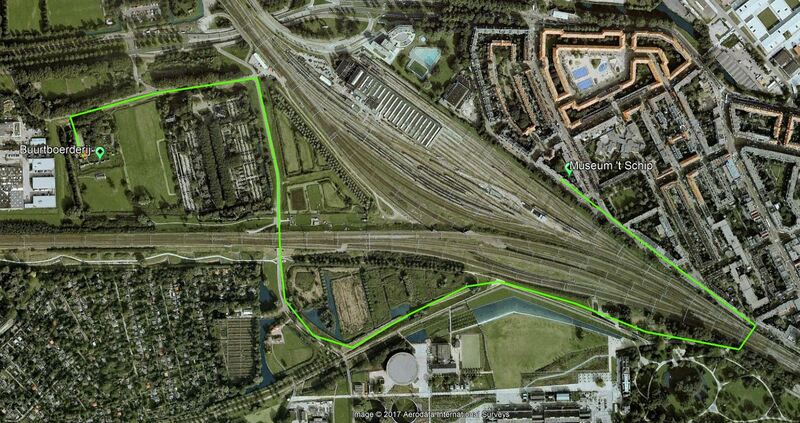 We followed a marked hiking trail of 12 km, indicated on the Google Earth map below. It was a pleasant, easy walk. 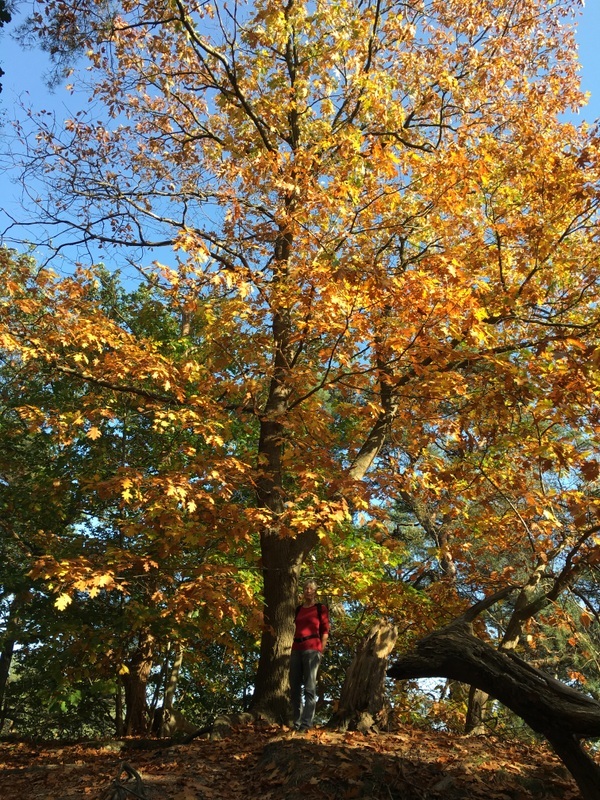 Many trees had beautiful autumn colours. 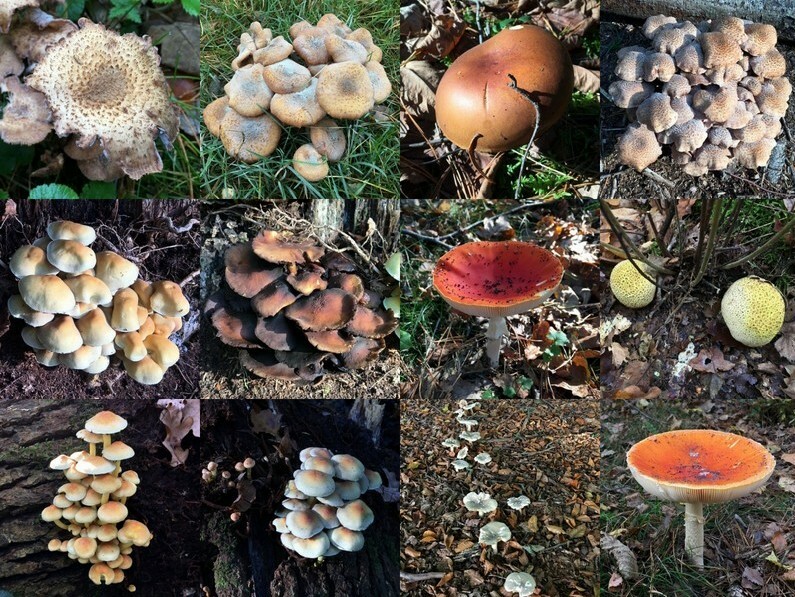 Mushrooms all over the place. Hard to imagine that in winter this nice lake will become a skating rink. 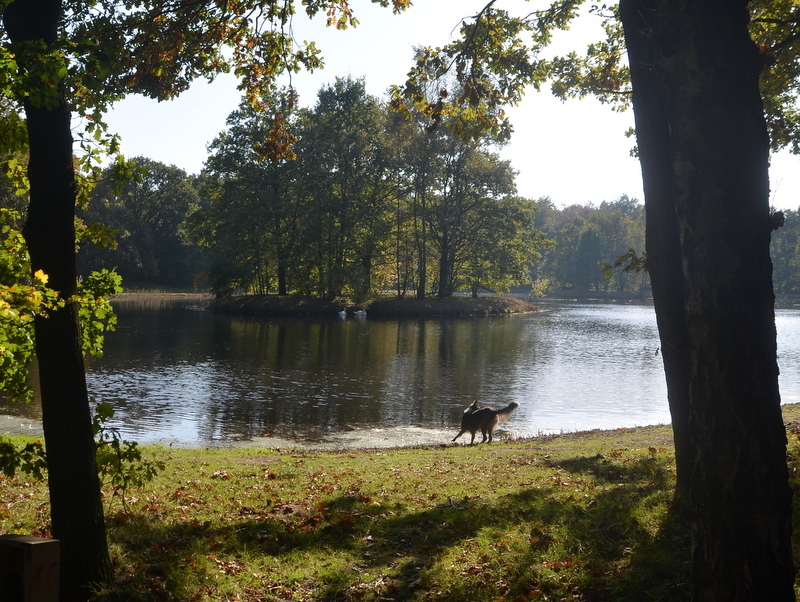 The third day I walked on my own in the region of Alphen, my birthplace. A polder walk of about 10 km. Green in the map below. Also indicated (in red) is one of the numerous Dutch polders . 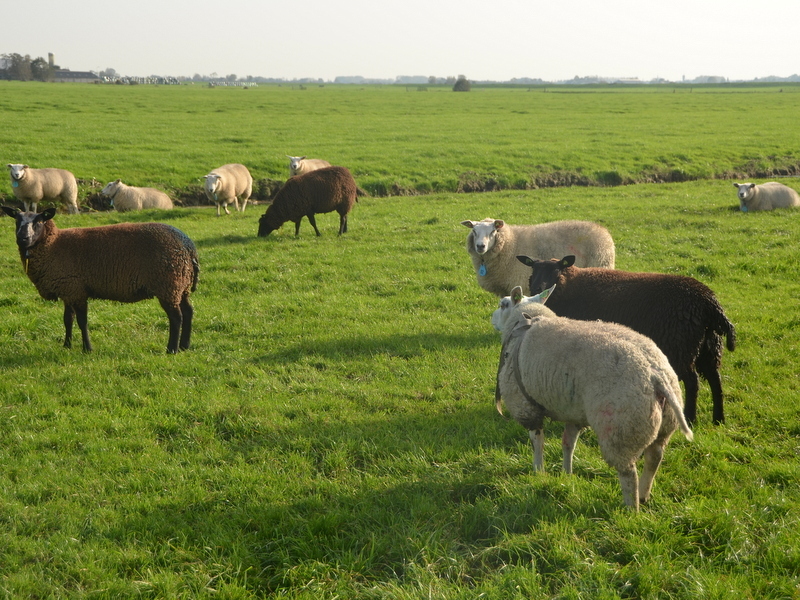 A polder is is a low-lying tract of land enclosed by dikes. 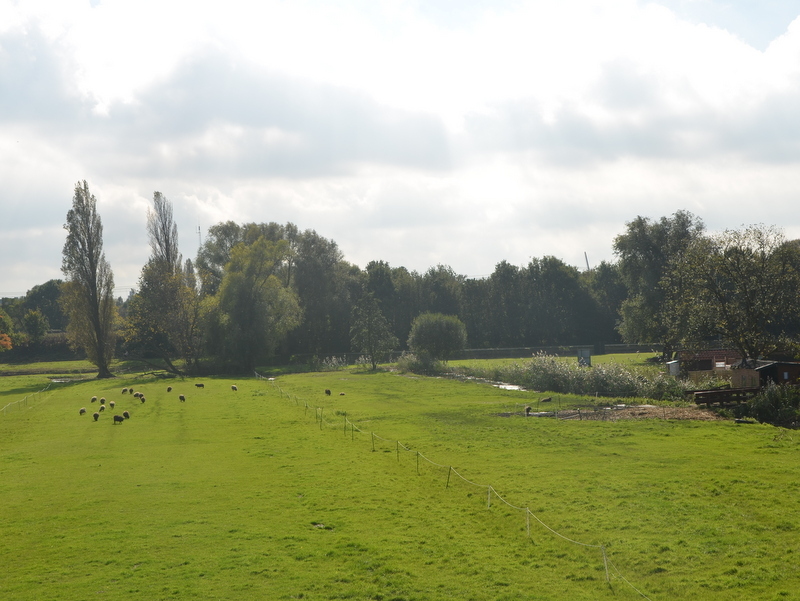 This polder was created around 1785. 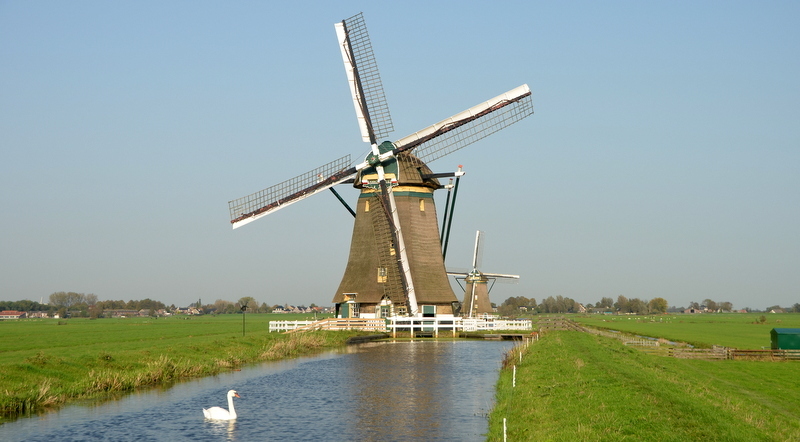 Because they are low-lying, the rainwater must be pumped out by windmills into a river, in this case the river RIjn. I took a bus to Aarlanderveen, where I started my walk. Nowadays Aarlanderveen has no shops and only one cafe. The cafe was officially closed, but the friendly owner was willing to serve coffee with apple pie. A good start of the day. 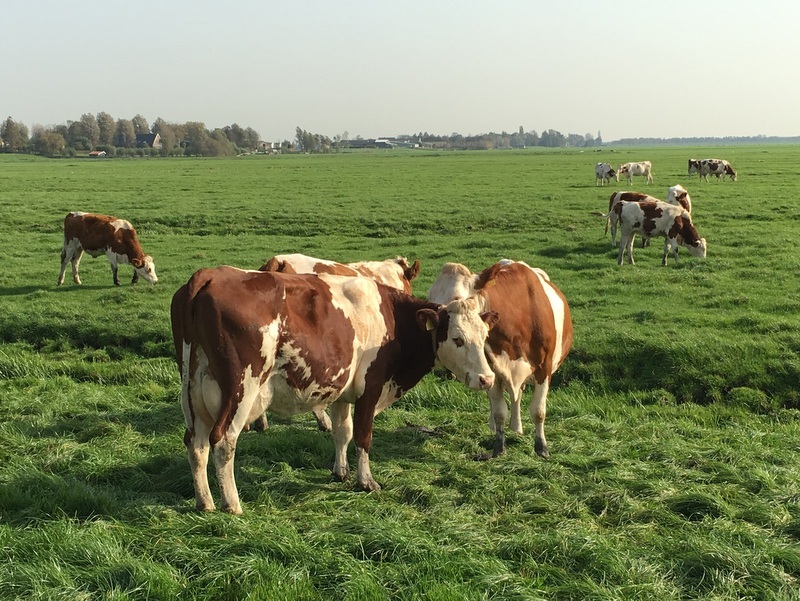 The landscape can not be more Dutch…:-) Meadows, cattle, windmills. 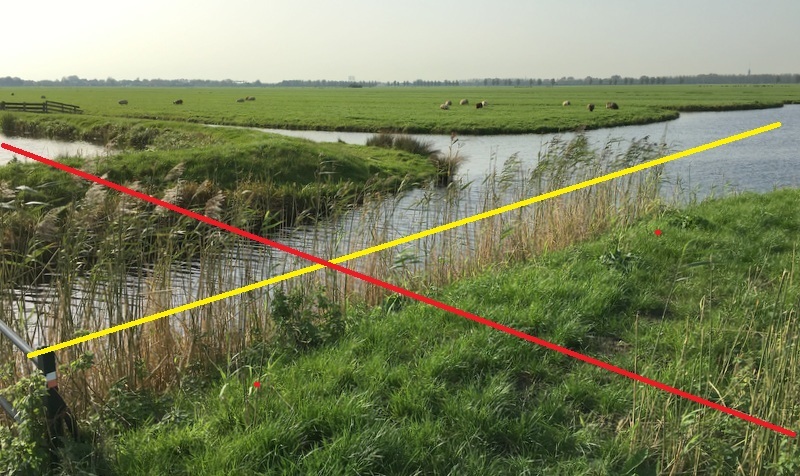 The polder marked in red needs 4 windmills, because in its deepest point it lies about 5 meter below sea level and one windmill can “lift” the water only about 1.5 meter. So they have to work together, like in the sketch below. 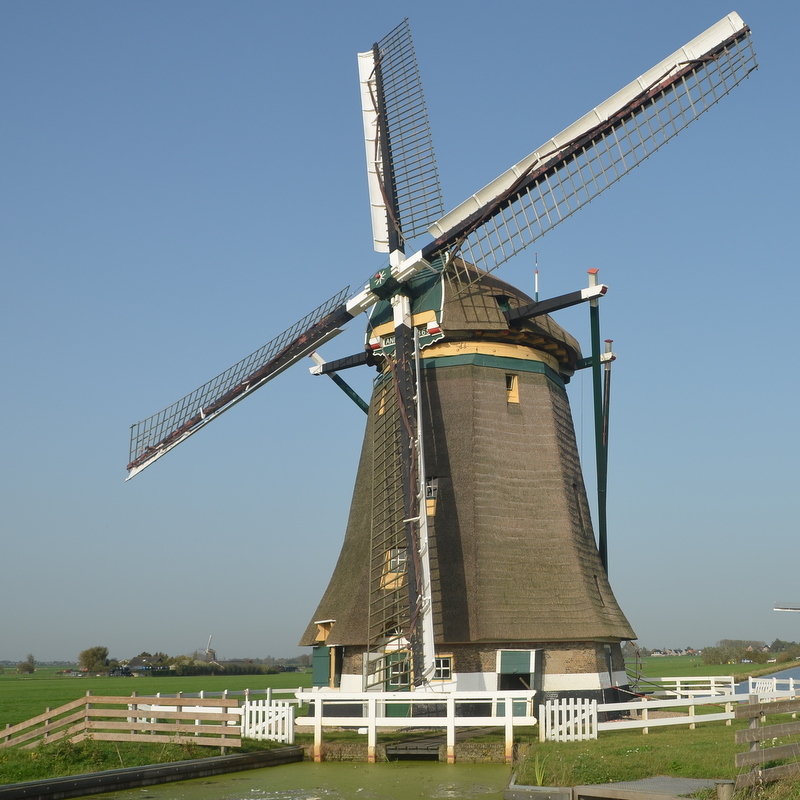 The Dutch word for it is a Molen-viergang and it is the only viergang in the world that is still operating. 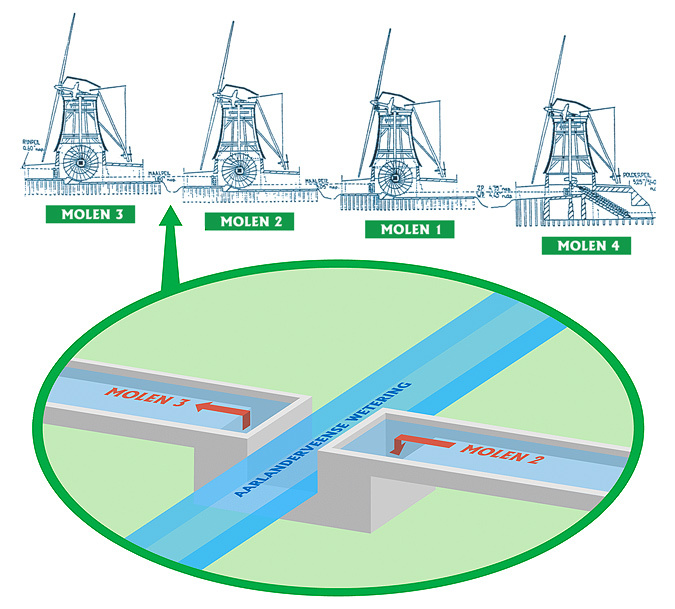 Mill no 4 uses an Archimedes’ screw, the other three have scoop wheels. 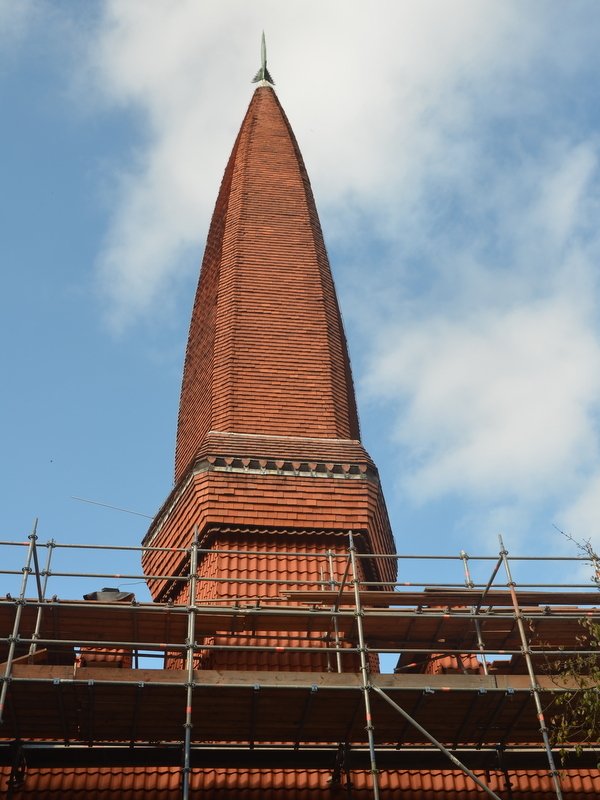 Here is Mill no 1, when you click on the image to enlarge it, you can see no 2 and 3 in the background. 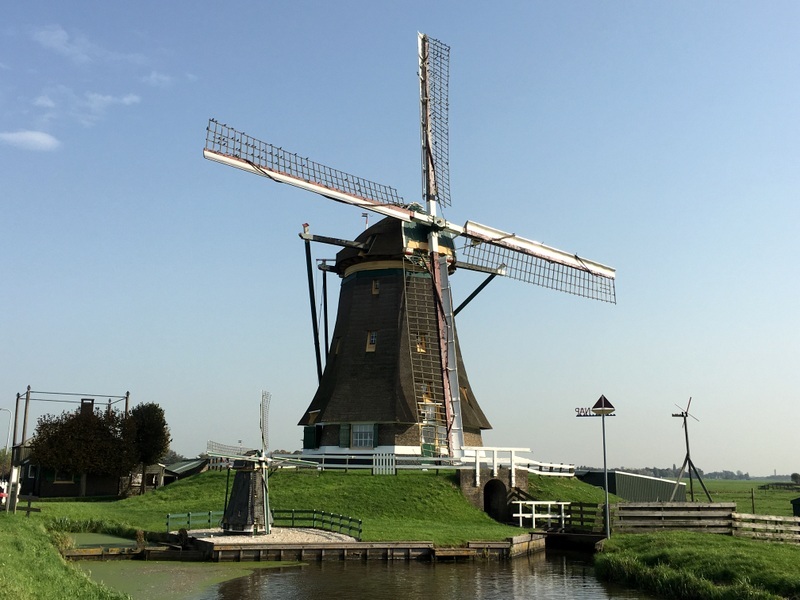 This windmill discharges the water in the Rijn river. Some details of this windmill. The right picture shows part of the scoop wheel. On the GE map you see that there is an (older) polder between the “red one”and the Rijn river. 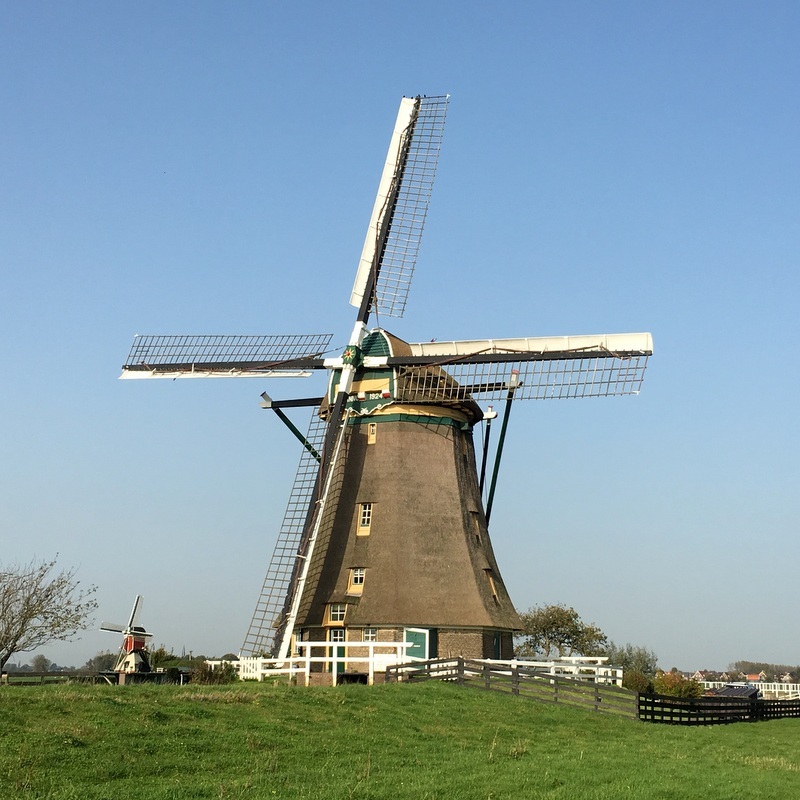 The easiest way to remove the water from the new polder would be to discharge it in this old polder, which had its own windmills.But understandably the owners of the old polder refused this, so for the new polder a separate drainage channel had to be created to the Rijn. Such a drainage channel is called a “wetering” in Dutch. Crossing a drain. Cattle can not pass. It was a very interesting hike. 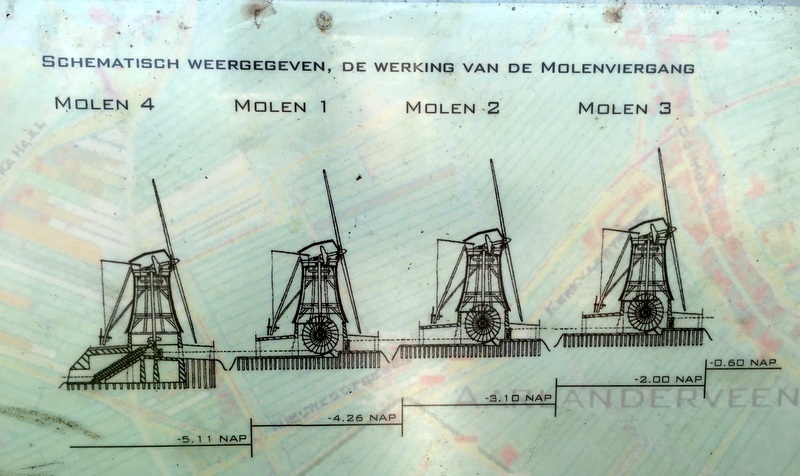 A very informative website about the Molen-viergang (in Dutch can be found here. 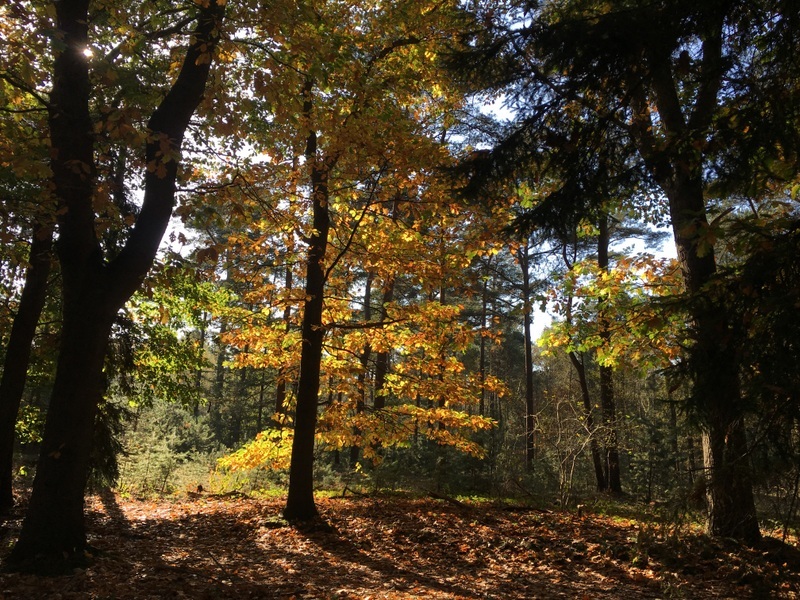 This entry was posted in Culture, Nature, Netherlands by janstu. Bookmark the permalink. 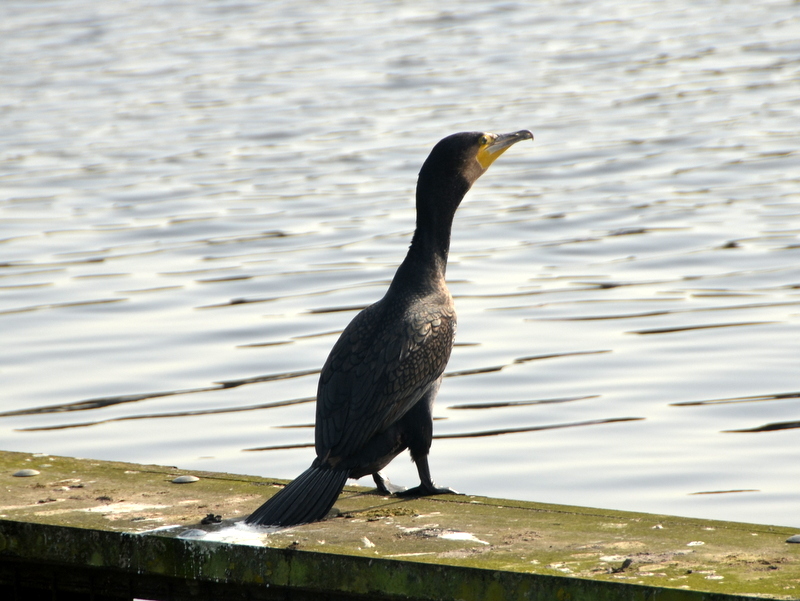 Lovely pictures as usual…. 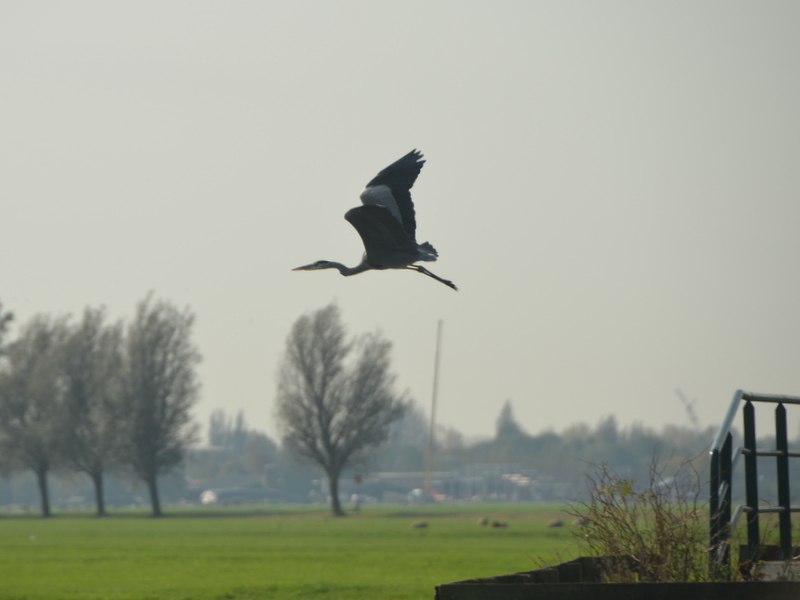 Typically dutch scenes…wonderful. 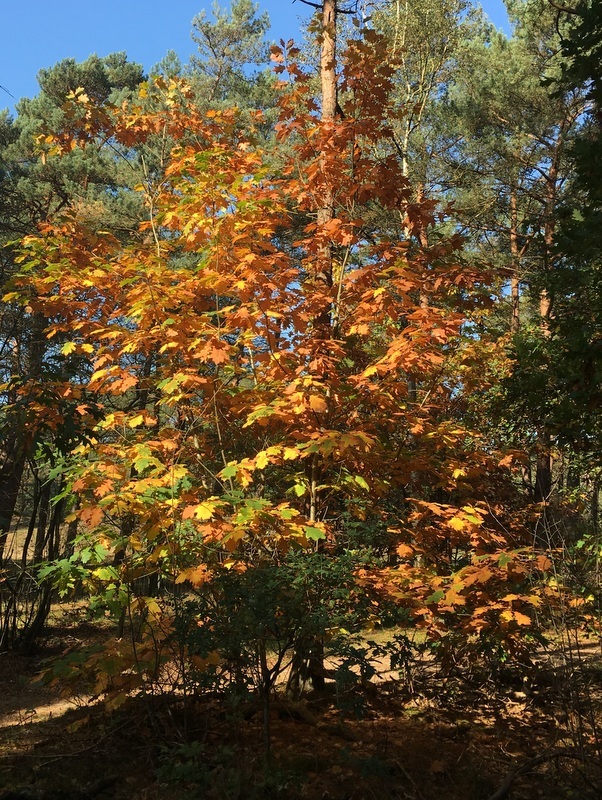 Jan, thanks for sharing the beauty of Netherlands…. Most instructive, also for the Dutch. Would such a duiker never get clogged. An then, would they actually have dived to clean it 300 yrs ago? Must be a nice toy for the fish. Interesting to hear more details about the polder at Aarlanderveen. If have skated the Molenviergang tour a couple of years ago, the last time there was enough ice fortourskating to be organised. (This year does not promise to become a good year for skating, breaking records for temperature highs). 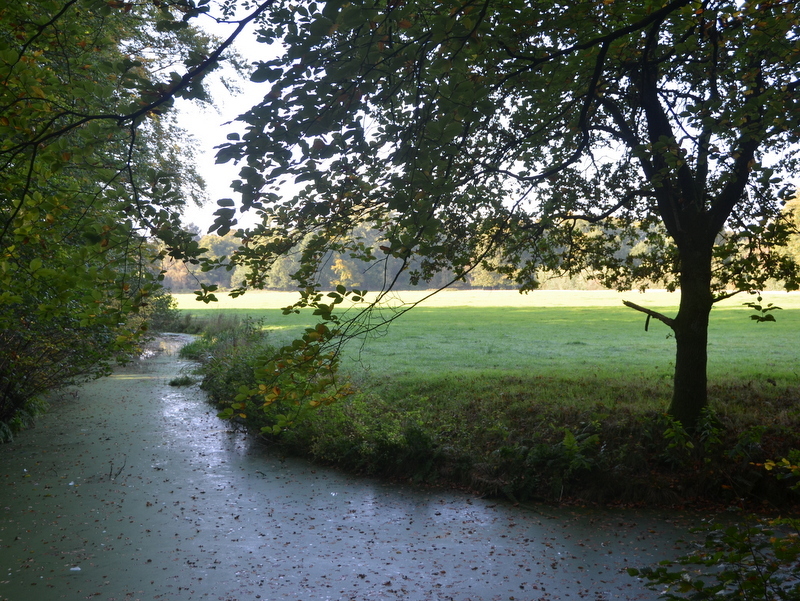 Also some of my family roots lie in Aarlanderveen as some of my ancestors lived there for a period of more than 2 centuries (starting with Bouwen Schellingerhout, born in or around 1625). 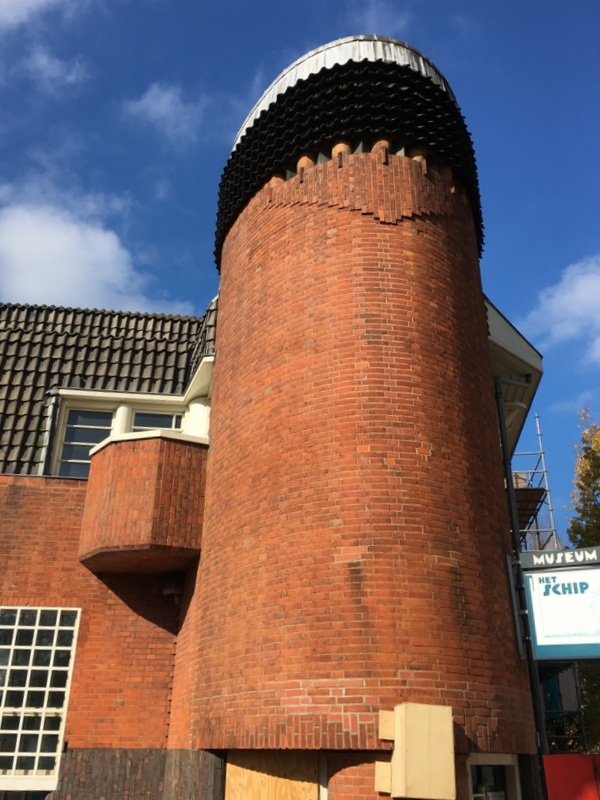 If you enjoy Amsterdamse school architecture, you might also want to wander around in the newer part of “de Pijp” in amsterdam (the part bordering on rustenburgstraat in the north, Amstelkanaal in the south, ferdinand bolstraat in the west and van Woustraat in the East. I used to live there for a while, and it’s a beautiful, not very well known bit of Amsterdam. 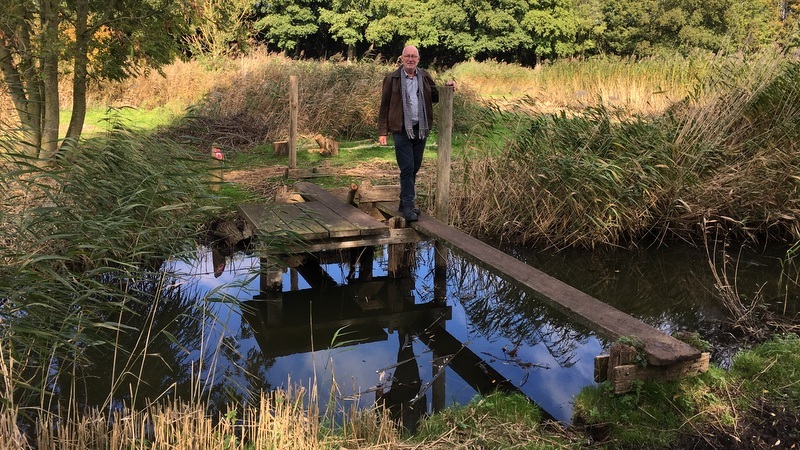 Fascinating ….. especially on how the windmills work together, Archimedes’ screw/scoop wheels and how water cross under the path of another. Thank you for sharing.